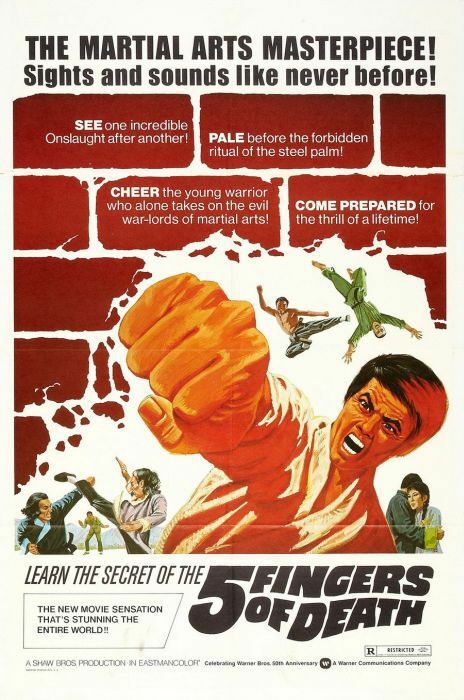 “Five Fingers of Death” is a classic of 70’s kung fu cinema. As the film that “broke out” HK cinema to the west, this is a must see for any serious fan of the genre. It’s also a damn entertaining film, with hard-hitting, non-stop action, solid and mostly believable fight choreography and great over-the-top 70’s era dubbing (“Oh I see … so you want it THE HARD WAY!! HWAA!!”). “Five Fingers” is an eye-for-an-eye revenge tale … and I mean literally, eye for an eye! It’s great to see Lo Lieh portraying a hero. He played so many great villains later in his career – including Pai Mei in the classic FIST OF THE WHITE LOTUS, which was one of the characters Tarantino used in creating the Pai Mei of KILL BILL.